There's a reason why the Oxford dress shoe is a classic. The fine broguing on the cap toe and vintage-inspired lace-up silhouette is both fashionable and functional, making these classic wingtip dress shoes a go-to option for the style-conscious gentleman. The Bolano men's wingtip shoes feature a fashion-forward mix of retro glam and modern style with their high-gloss sheen in bright, eye-catching colors. Make your look really pop when you brighten up a basic black and brown wardrobe with wingtip dress shoes in non-traditional shades, a playful finishing touch to any formal outfit. These streamlined kicks are a sophisticated choice for special occasions when you need to look your best. The two-toned design provides a striking contrast with sleek black panels and an ultra-luxe metallic luster that gives your outfit a hint of sparkle. Offered in a variety of delicious candy-coated flavors, the Lawson style shoe is the perfect canvas for personal expression. Liven up a sleek designer suit in lively hues that stand out against elegant black panels with fine stitching on the cap toe. Their elegant shape fits true-to-size, including slender curves for comfortable arch support in all the right places. Designed for comfort and style, take this lace-up Oxford dress shoe straight out of the box and onto the dance floor without having to break them in. Step out in style when you lace up a pair of distinctive Bolano Oxford dress shoes. This retro style dress shoe is a versatile option for a variety of looks, from dressing up a basic jeans and dress shirt uniform to adding the finishing touch to a slick power suit. 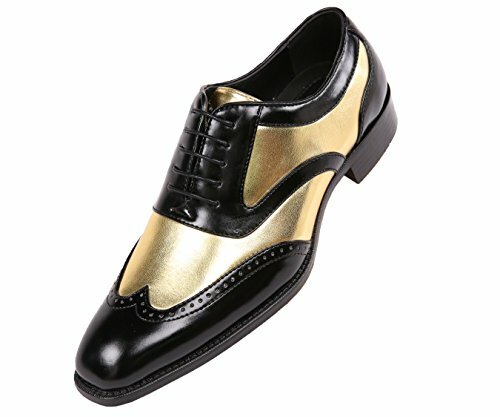 Make a statement with shimmery metallic accents on the body of the shoe, a modern take on a quintessential style. If you have any questions about this product by Bolano, contact us by completing and submitting the form below. If you are looking for a specif part number, please include it with your message.